Michael Naura was just six years old, when he first travelled to Berlin with his mother, and began a new life in the city that became his home. It was where Michael Naura studied journalism, philosophy and sociology, and played piano in a number of swing bands. However, by 1953 the pianist was now a bandleader and the Michael Naura Quintet was well on their way to becoming one of the then most successful jazz bands in West Germany. 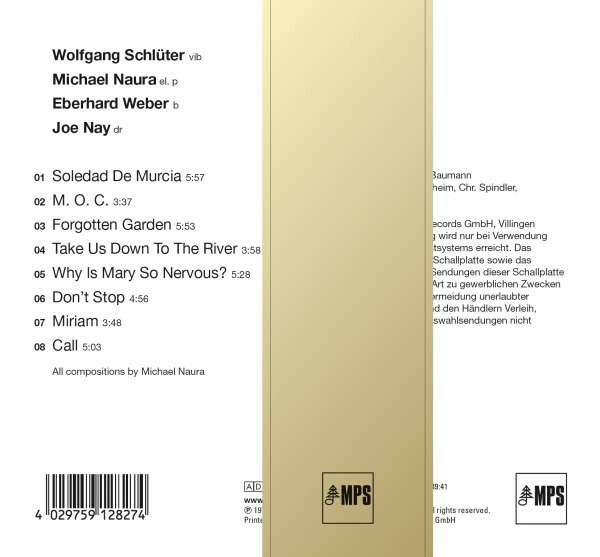 Key to the sound and success of the Michael Naura Quintet in 1953 was vibraphonist Wolfgang Schlüter. He was regarded as one of the finest improvisers in the Michael Naura Quintet. Their star was in the ascendancy as they honed and refined their eclectic sound over the next couple of years. By then, the Michael Naura Quintet had been initially influenced by George Shearing, and then by Dave Brubeck and Horace Silver’s hard bop sound and the Modern Jazz Quartet. All these influences shawn through in the Michael Naura Quintet’s music as they left Berlin behind. In 1956, the Michael Naura Quintet moved to Hamburg, which was the start of a new chapter for the band. They were offered the chance to become the house band at the Hamburg Jazz-Keller Barett in the Colonnaden. This booking was for six nights a week and lasted seven years and came at a cost. Playing in smokey cellars six nights a week resulted in Michael Naura’s health deteriorating, and in 1964 he was diagnosed with Polyserositis, and spent a year recuperating in the winter sanctuary. For Michael Naura this was a disaster. Fortunately, many top jazz musicians in West Germany gave benefit concerts to pay for Michael Naura’s treatment. This act of kindness allowed Michael Naura to recover from what was an extremely serious illness that threatened his musical career. After his release from the sanctuary, Michael Naura decided to change direction and more or less gave up his career as a musician and worked as a journalist. During 1967, Michael Naura began work as a sound engineer for the Department of Dance Music of the North German Radio. This was a job he kept until 1971, when he took over as station editor in 1971, after the death of Hans Gertberg. By then, the Michael Naura Quartett had released one of its best albums Call, which was recently released by MPS Records. Joining bandleader and pianist Michael Naura were vibraphonist Wolfgang Schlüter, bassist Eberhard Weber and drummer Joe Nay. The Michael Naura Quartett recorded the eight tracks that became Call, which was released in 1970. During the recording Michael Naura who played Fender Rhodes and vibraphonist Wolfgang Schlüter used different amplifiers and effects. In the case of Wolfgang Schlüter he used distortion when he recorded his vibes as he sought inspiration from Dave Pike. 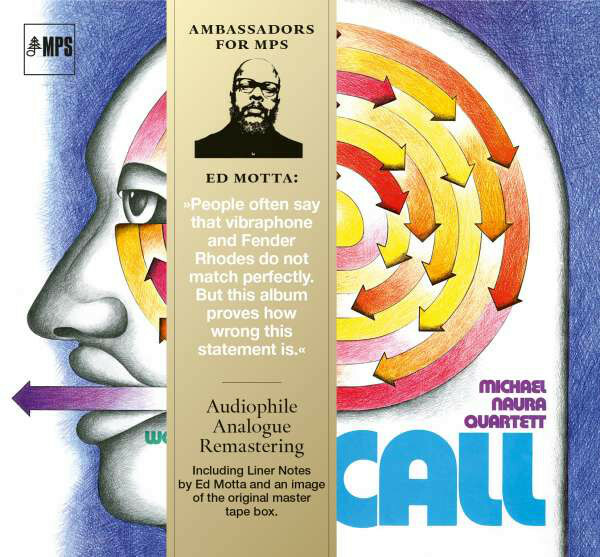 Michael Naura who also arranged and produced Call, which stylistically was very different to the music he had been making a few years previously. Gone was the hard bop of the past, to be replaced by fusion and elements of European jazz, classical, blues and Latin on what was an imaginative and innovative genre-melting album. As the rhythm section provide the heartbeat, Michael Naura’s Fender Rhodes and Wolfgang Schlüter’s vibes prove to be the perfect foil as the arrangement floats and meanders along. Together, the two men head in a new musical direction with the sounds and textures merging into one from the opening bars of Soledad De Murcia through to the closing notes of Call. In between, Forgotten Garden, Take Us Down To The River and Why Is Mary So Nervous features the Michael Naura Quartett at the peak of their powers. Indeed, the Michael Naura Quartett’s genre-melting album Call is their finest hour. The stars were aligned when the Michael Naura Quartett recorded Call, which is a career-defining epic. ← IDRIS ACKAMOOR AND THE PYRAMIDS- AN ANGEL FELL-VINYL.